When Herod Antipas established the city, he named it after the reigning Roman emperor Tiberius whose reign lasted from 14 C.E. to 37 C.E. In this war, also known as The Great Revolt (66 – 73 C.E. ), the Jews of the southern province of Judea revolted against the Roman Empire. The Roman commander and historian Josephus Flavius fortified the city of Tiberius; when the general of the Roman army, Vespasian, entered the city he found its inhabitants loyal to Rome and therefore spared the city from destruction. However, with the destruction of the southern province of Judea and the fall of Jerusalem in 70 C.E., many of the southern Jews relocated to the Galilee and the city of Tiberius. Although the Bar Kochba Revolt (132 – 136 C.E.) took place in Judea and not in the Galilee, Tiberius was nonetheless greatly affected by the revolt. Hundreds of thousands of Jewish lives were lost during the revolt, and in addition, those Jews who survived were expulsed from Jerusalem (135 C.E.). 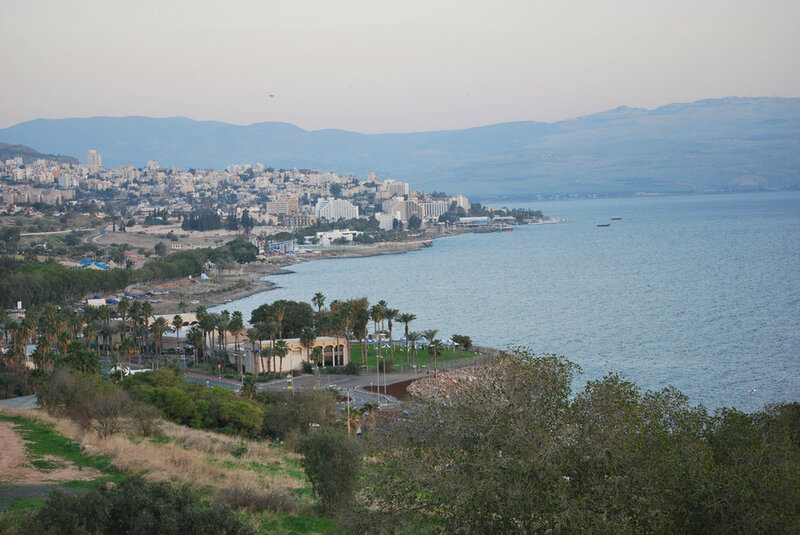 With the relocation of the Jews to Tiberius, the city became a major Jewish cultural center. Following The Great Revolt, the Sanhedrin—the high Jewish court—also changed locations. After moving several times, the Sanhedrin settled in Tiberius around the year 150 C.E. A key leader of the Jewish community during the 2nd century C.E., Rabbi Yehudah HaNasi (d. 217 C.E.) compiled and edited what is now known as the Mishnah—the compilation of the oral law and the first major piece of Rabbinic literature. This work was likely completed in Tiberius around the year 200 C.E. 7. Yochanan bar Nafcha and the Jerusalem Talmud: After studying Torah in his hometown of Sepphoris under Rabbi Yehuda HaNasi and his students, Yochanan bar Nafcha (180 – 279 C.E. ), when he was ready to teach, moved to Tiberius and started a school of his own. As a result, Tiberius “became the focus of Jewish religious scholarship in the land.” Yochanan bar Nafcha is responsible for the compilation of what it known as the Jerusalem Talmud, a collection of Rabbinic notes on the Mishnah. (Compiled from 230 – 270 C.E. ).